This study analyzes how information is accessed and gathered in hurricane and inland flooding prone areas. It includes analysis of passive vs. active information seeking behaviors, various sources of information, including government, personal judgment, and friend of family recommendations. The study also assesses how demographic, risk information, and living condition factors influence on evacuation decision-making in five hypothetical hurricane events—Category 1, 2, 3, 4, and 5—in the Rio Grande Valley, Texas. Findings suggest that information seeking frequency can increase the odds of making a decision to evacuate in the event of Category 1, 2, 3, 4 and 5 hurricanes. Similarly, active information seeking behavior is positively associated with the evacuation decision in the event of Category 4 and 5 hurricanes. Information sources from personal judgment show negative relationship with evacuation decisions in all except in Category 5. Information sources based on family/friend show positive association with evacuation decisions in Category 4 and 5. The findings highlight the importance of active information sources such as social media, frequent interactions with friends or family members, and active information seeking behaviors in Categories 4 and 5. The Rio Grande Valley (RGV) has been impacted by various hurricanes throughout history. While Hurricane evacuation has been studied extensively in other contexts, there is limited systematic research on the warning and response to a large-scale severe weather event in South Texas. This study attempts to understand the evacuation decision-making behavior of Southern residents in the event of a Hurricane making landfall over the Rio Grande Valley. The study uses an online survey questionnaire with 1060 participants: 275 students attending the University of Texas-Rio Grande Valley and the remaining 785 are members of the community. Throughout the course of the study, information was gathered about selected elements: demographic characteristics, living conditions, the following and awareness of authority recommendations, decision maker roles, reasons for not wanting to leave a disaster-prone area facing an emergency, perception of a safe place, and expected help from both, governments and non-governmental organizations (NGOs) during evacuation that could impact residents’ evacuation decision. Findings reveal there are a number of individuals who will remain in their place of residence, even in the deadliest of hurricane Category 5. The study provides complex factors influencing the nature of evacuation decision-making of individuals who are Hispanics living in a unique geographical location of RGV. People living in communities surrounding the Indian Point Nuclear Generating Plant (IPNGP) inevitably face potential risks associated with a nuclear plant issue, which could become a potential extreme event. The study searches for answers to the three research questions: (1) What is the population makeup of those residing nearby the IPNGP (2) Which racial and ethnic groups are more vulnerable to the potential risks associated with the IPNGP (3) Who would be exposed to the radioactive plume if the IPNGP experienced a core-meltdown accident? The study utilizes Radiological Assessment System for Consequence Analysis (RASCAL) computer software code to project the radioactive plume dispersion when the IPNGP encounters a core-meltdown accident. Findings show that there are between 1.39 million and 19.85 million people that could possibly be exposed to the radioactive plume under four different typifying weather conditions in a calendar year. The study suggests this potential risk of an extreme event should be taken into consideration for “flexible adaptation approach” for building a resilient and sustainable New York City, rather than the one where a serious disaster could impact thousands of lives, create millions of dollars in damage, and create another scenario where emergency response is tested and fails to meet the requirements of appropriate sources to respond and do their part accordingly and appropriately to protect and save the lives of residents. This article attempts to understand potential risks of nuclear power emergencies associated with the U.S. commercial nuclear power plants (NPPs), which could impact populations living within a 50-mile radius around NPPs during a nuclear disaster. This article will first examine the demographic composition of the populations in communities that host NPPs in urban and non-urban areas in 1990, 2000, and 2010. Second, the study will investigate the distributive justice of the potential risks, by looking into the difference in demographic characteristics of populations living in the host communities (a 50-mile radius from the NPPs), as compared to those living in outlying areas, in urban and non-urban settings. Further, this article will also investigate the distributive justice of the potential risks associated with NPPs by looking at the association between the distance from the NPPs and the percentage of specific racial and ethnic groups living within the 50-mile radius areas. Finally, in addition to the abovementioned distributive justice, this article will identify other environmental justice issues the communities near NPPs, if there are additional issues to address. Nuclear hazards, linked to both U.S. weapons programs and civilian nuclear power, pose substantial environment justice issues. Nuclear power plant (NPP) reactors produce low-level ionizing radiation, high level nuclear waste, and are subject to catastrophic contamination events. Justice concerns include plant locations and the large potentially exposed populations, as well as issues in siting, nuclear safety, and barriers to public participation. Other justice issues relate to extensive contamination in the U.S. nuclear weapons complex, and the mining and processing industries that have supported it. This study explores the potential risks associated with the 65 U.S.-based commercial nuclear power plants and the distribution of those risks among the populations of both their respective host communities and of the communities located in outlying areas. First, it starts by examining the racial/ethnic composition of the host community populations, as well as the disparities in socioeconomic status that exist, if any, between the host communities and communities located in outlying areas. Second, it utilizes two independent-sample T tests to identify any differences in the sociodemographic compositions of the two areas. This study constructs a potential risk index (PRI) for the 65 U.S.-based commercial nuclear power plant (NPP) sites in relation to their surrounding populations. Four risk levels are defined: low risk, moderate risk, high risk, and very high risk. Discrepancies that exist in the sociodemographic characteristics of the host communities’ populations are examined as sorted by risk-level category. It is found that a greater percentage of minority groups are exposed to the highest levels of risk. In addition, percent “Hispanic” and percent “Other,” a grouping that includes multiracial, mixed, interracial, as well as Hispanic and Latino groups (for example, Mexican, Puerto Rican, Cuban, or Spanish) are categories that show the greatest percent change in both the period 1990–2000 and 2000–2010. OBJECTIVE: To understand the management process of nuclear power plant (NPP) induced disasters. The study shields light on phases and issues associated with the NPP induced disaster management. SETTING:This study uses Palo Verde Nuclear Generation Station as study subject and Arizona State as study area. DESIGN:This study uses the Radiological Assessment System for Consequence Analysis (RASCAL) Source Term to Dose (STDose) of the Nuclear Regulatory Commission, a computer software to project and assess the source term dose and release pathway. This study also uses ArcGIS, a geographic information system to analyze geospatial data. A detailed case study of Palo Verde Nuclear Power Generation (PVNPG) Plant was conducted. RESULTS:The findings reveal that the NPP induced disaster management process is conducted by various stakeholders. To save lives and to minimize the impacts, it is vital to relate planning and process of the disaster management. Environmental and emergency leaders are important individuals who play a vital role in managing ecological resources. Based on the resilience thinking of Walker and Salt, this study highlights aims to how resilience for adaptive management can be built by incorporating vision formation of environmental and emergency management leaders. Design/methodology/approach – The study addresses two research questions: What constitutes environmental and emergency leadership systems? How are the concepts of vulnerability, resilience, and adaptation relevant to the environmental and emergency management processes? The study employs two case studies and discusses how resilience leadership can be incorporated into environmental management and emergency management systems in organizations. The current world population is approximately 6.8 billion. Based on the present growth rate of 1.2% per year, the population is projected to double to 13 billion in approximately 58 years. Because population growth cannot continue indefinitely, society can either voluntarily control its numbers or let natural forces such as disease, malnutrition, and other disasters limit human numbers. Currently, food shortages are critical; approximately 60% of the human population is malnourished worldwide - the largest number of malnourished ever. In this article, we assess the carrying capacity of the earth's natural resources and examine the ethics of we humans voluntarily limiting our population growth rather than letting natural forces control our numbers. Cleanup after Katrina: An Analysis on Policy, Process, Priorities, Problems, and Politics. Purpose: Following a natural disaster the cleanup process usually takes place before reconstruction or rebuild can actually be implemented. Effectiveness of cleanup process determines the possible level of speed for implementing rebuild and reconstruction process. This paper aims to focus on providing guidelines to help plan for future natural disaster management. Design/methodology/approach: This study analyses a cleanup process after Hurricane Katrina in terms of governing policy, implementing process, problems associated with process, priorities for cleanup, and politics. Findings: The study finds policies governing the cleanup process, problems associated with the cleanup process, priorities areas in the cleanup work and politics of the disasters. Research limitations/implications: The research focuses only on three states where Hurricane Katrina hit, namely Alabama, Mississippi, and Louisiana. Purpose: This paper aims to investigate the relationship between official development assistance (ODA) and human and educational development in countries in Southeast Asia. Design/methodology/approach: In the study described here, empirical evidence was used to investigate the relationship between ODA provided between 1990 and 2004 and its impact on the human and educational development of countries in Southeast Asia. Findings: A review of efforts made over the past 15 years in providing developmental aid reveals that there still remain gaps in the human development dimensions – income, education, and health – within and between countries. The paper presents a new conceptual model for not-for-profit international development projects that identifies different sets of success criteria and factors in the project life-cycle phases and then provides the dynamic linkages among these criteria and factors. The model can serve as a basis to evaluate the project status and to forecast the results progressively throughout the stages. Thus, it helps the project management team and the key stakeholders prioritize their attention and scarce development resources to ensure successful project completion. Empirical data from a field survey conducted in selected Southeast Asian countries confirm the model's validity and also illustrate important managerial implications. 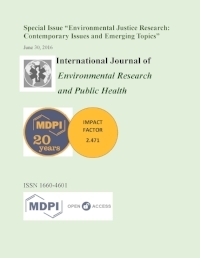 Purpose: With the recognition of the necessity for effectively and successfully managing natural disaster projects for saving human lives and preventing and minimizing the impacts of disasters on socio‐economic developmental progress, this paper seeks to propose a balanced scorecard (BSC) approach in order to maximize the possibilities of desired outcomes from projects. Design/methodology/approach: The BSC approach, which has been widely accepted and used in business organizations, can be adapted for natural disaster management projects. An application of this BSC approach to disaster management projects is discussed with a real flood disaster management project. Findings: In the BSC approach, performance measures should be established in four areas: donors' perspective; the target beneficiaries' perspective; the internal process perspective; and the learning and innovation perspectives. Purpose: With an aim to develop an integrated approach for effectively managing natural disasters, this paper has three research objectives. First, it provides a framework for effective natural disaster management from a public project management perspective. Second, it proposes an integrated approach for successfully and effectively managing disaster crisis. Third, it specifies a set of critical success factors for managing disaster related public projects. Design/methodology/approach: A detailed case study of the tsunami was carried out to identify specific problems associated with managing natural disaster in Thailand. Findings: The investigations reveal that the country lacked a master plan for natural disaster management including prediction, warning, mitigation and preparedness, unspecified responsible governmental authority, unclear line of authority, ineffective collaboration among institutions in different levels, lack of encouragement for participation of local and international NGOs, lack of education and knowledge for tsunami in potential disaster effected communities, and lack of information management or database system.